The first official tradition that they started as a couple was going to see Christmas lights together. Hersheypark Christmas Candylane has a spectacular show of Christmas lights that Eric has never seen, so showing Eric these particular lights was something she was excited to do because Amanda used to work at Candylane over her college breaks. 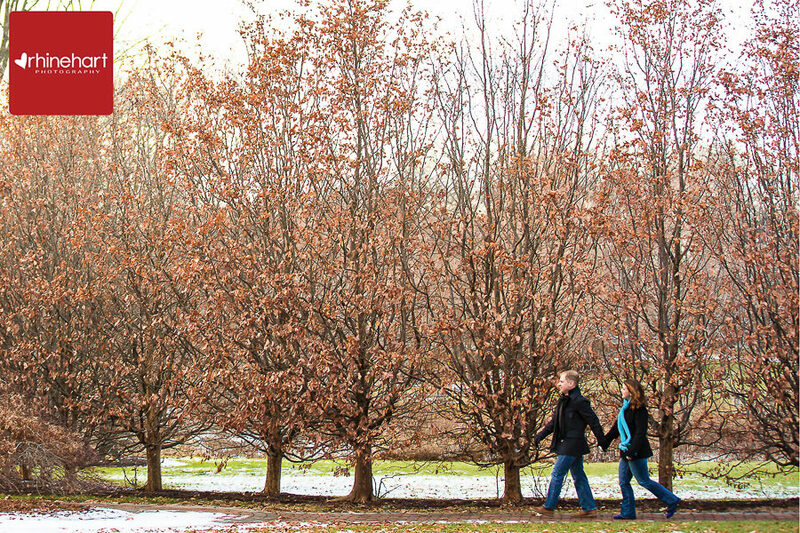 Amanda and Eric live in Washington state, but will be married in Pennsylvania (Amanda’s home state) and captured their engagement images in Hershey while they were home for the holidays. 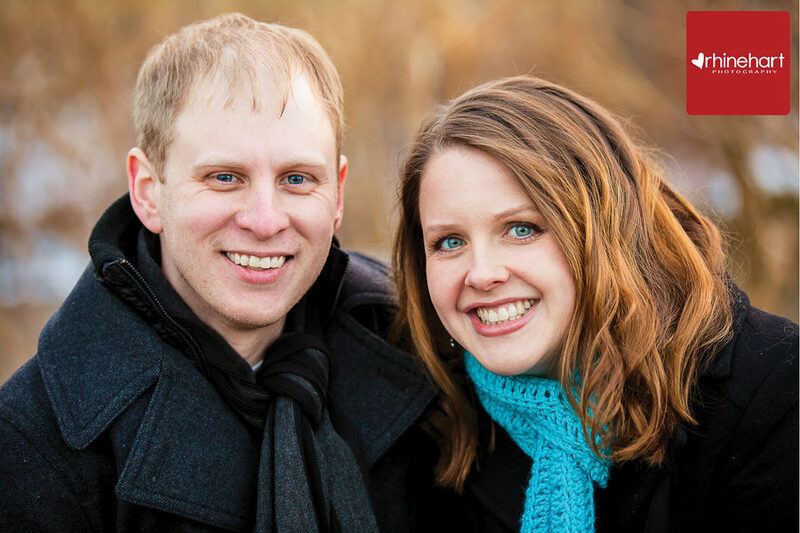 Amanda and Eric are also light-hearted, they can see the good in any situation and share a similar sense of humor. I like how that comes across in the image above and several below– you can almost see the bounce that they have in thier step and Amanda, those eyes, wow the blue really pops with your scarf! She actually knit the scarf herself on the plane ride from Washington State to Pennsylvania! As the sun set, we went to Hershey Park for Christmas Candylane. The first thing we did was head to the top of the “Kissing Tower” a ride that slowly spins and gives you an aerial perspective of the park and town. When we reached the top the sun was still setting just slightly and the park and town was fully lit, as you can see through the Hershey Kiss shaped window. There are over 2 million lights on display at Hershey, so I tried to capture as many as possible while keeping Amanda and Eric visible in the image below. If you look closely they are on the bridge to the left and illuminated in white, thanks to my helpful assistant, Jessica. This image looks awesome enlarged!